At our studio we host a variety of workshops. If you have any suggestions or recommendations for future workshops, please get in touch, hello@pregnancyclasses.ie. Or should you wish to host a workshop here, contact us. Join us for a 5 Week Baby Massage Course. This course is open to Mums or Dads and babies from 5 weeks until crawling! Active Birth Workshops are designed to prepare mums to be for labour and birth and provide top tips and practical advise for birth partners. The workshop will cover baby behaviour and baby developmental needs as a background to breastfeeding, breast feeding positions, how to feed and lots on normal patterns around daily activities with baby. Stretch, Strengthen, Rest and Restore, breathe to your baby! 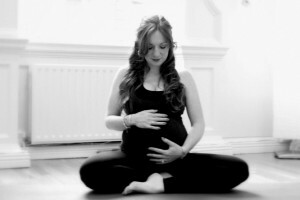 In this workshop, Rachel will guide you through yoga poses to soothe and stretch our pregnant bodies. We will focus on practical breathing for labour, and we will incorporate Hypnobirthing exercises.